It seems like conventional wisdom: The drinking age should be 18. After all, why should you be able to vote or serve your country in the military, but not legally buy a drink? But there’s a very compelling case for keeping the drinking age at 21: It saves lives. That may be hard to believe, given how many people flaunt the laws and drink anyway, but it’s been consistently found to be true in research. 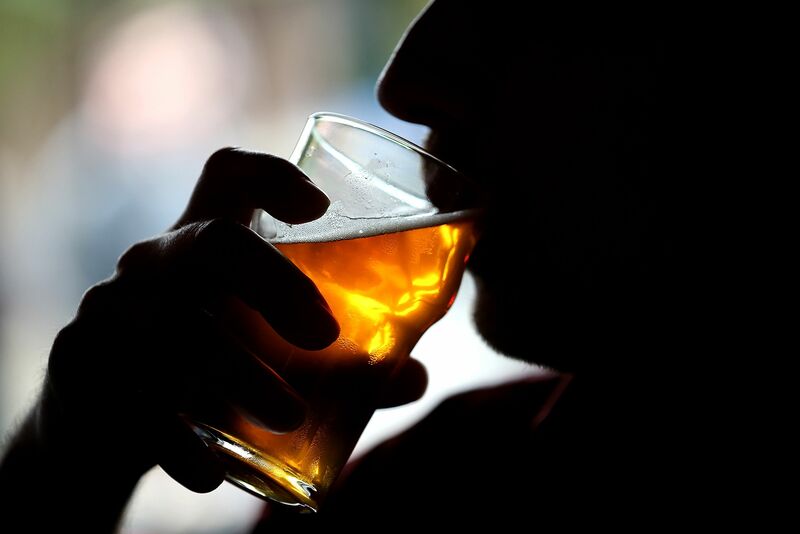 Saving lives from alcohol has serious public health benefits. About 88,000 Americans died on average each year from alcohol-related causes from 2006 to 2010, according to the Centers for Disease Control and Prevention. And that estimate doesn’t account for the rise in alcohol-related deaths over the past several years. It’s important to note a minimum drinking age of 21 doesn’t prevent all drinking among teenagers and 20-year-olds. But it deters some drinking, and that has public health benefits. At its heart, the drinking age is supposed to stop people from drinking until they’re responsible adults. And the research shows it works — to some extent. A 2014 review of the research published in the Journal of Studies on Alcohol and Drugs bore this out: Although many young people disobey the drinking age, the evidence shows that it has depressed drinking and saved lives. The review found the drinking age saves at least hundreds of young lives annually just as a result of reduced alcohol-age-related traffic fatalities among underage drivers. The review pointed to one study after the National Minimum Drinking Age Act of 1984, which raised the legal drinking age from 18 to 21: It found that the number of fatally injured drivers with a positive blood alcohol concentration decreased by 57 percent among ages 16 to 20, compared to a 39 percent decrease for those 21 to 24 and 9 percent for those 25 and older. Other studies had similar positive findings. Chances are the number of lives saved is higher, potentially in the thousands each year, when accounting for alcohol-related deaths beyond drunk driving, such as liver cirrhosis, other accidents, and violent behavior. The review also pointed to New Zealand, which reduced its drinking age from 20 to 18 in 1999. The country saw significant increases in drinking among ages 18 to 19, bigger increases among those 16 to 17 years old, and a rise in alcohol-related crashes among 15- to 19-year-olds. Critics of the drinking age commonly argue that it forces youth to drink in secret, which may lead to binge drinking as people stash booze to secretly consume all at once. But the 2014 review of the research found no evidence for this, and instead concluded that the national drinking age law reduced access to alcohol and consumption. The law accomplishes this in two big ways. Obviously, it makes it harder to buy alcohol before 21. But it also breaks up social groups in a way that makes alcohol less accessible: If the drinking age were 18, someone who is a freshman or sophomore in high school is much more likely to have access to an 18-year-old senior in high school. But if the drinking age is 21, a freshman or sophomore in high school is not going to have as easy of access to a 21-year-old who’s likely working or in college. So the laws may not be perfect, and they may be disobeyed at times. But the overall evidence is clear: A drinking age of 21 reduces use and saves lives. The drinking age, however, should be just one part of a broader array of policies that help reduce alcohol abuse and deaths. [H]igher prices do correlate with less drinking and lower incidence of problems such as cirrhosis deaths. And I see little reason to doubt the obvious explanation: higher prices cause less drinking. A rough rule of thumb is that each 1 percent increase in alcohol price reduces drinking by 0.5 percent. Extrapolating from some of the most powerful studies, I estimate an even larger impact on the death rate from alcohol-caused diseases: 1-3 percent within months. By extension, a 10 percent price increase would cut the death rate 9-25 percent. For the US in 2010, this represents 2,000-6,000 averted deaths/year. This wasn’t the first positive finding in favor of raising the alcohol tax, but it was one of the most convincing. Roodman found not just that high-quality research supports a higher alcohol tax, but that the effects seem to grow stronger the higher the tax is. Aside from raising taxes, a 2014 report from the RAND Drug Policy Research Center suggested state-run shops (like those in Ohio and Virginia) kept prices higher, cut access to youth, and reduced overall levels of use. And a 2013 study from RAND of South Dakota’s 24/7 Sobriety Program, which briefly jails people whose drinking has repeatedly gotten them in trouble with the law (like a DUI) if they fail a twice-a-day alcohol blood test, attributed a 12 percent reduction in repeat DUI arrests and a 9 percent reduction in domestic violence arrests at the county level to the program. Like the drinking age, these policies won’t eliminate problematic drinking. But coupled with the drinking age, they can help — and potentially save tens of thousands of lives in the process.